Dear friends, we have very happy news! Japanese automatic riichi-mahjong table was delivered to «Tesuji» club! It's completed with tiles with appropriate size and it even counts and displays score. 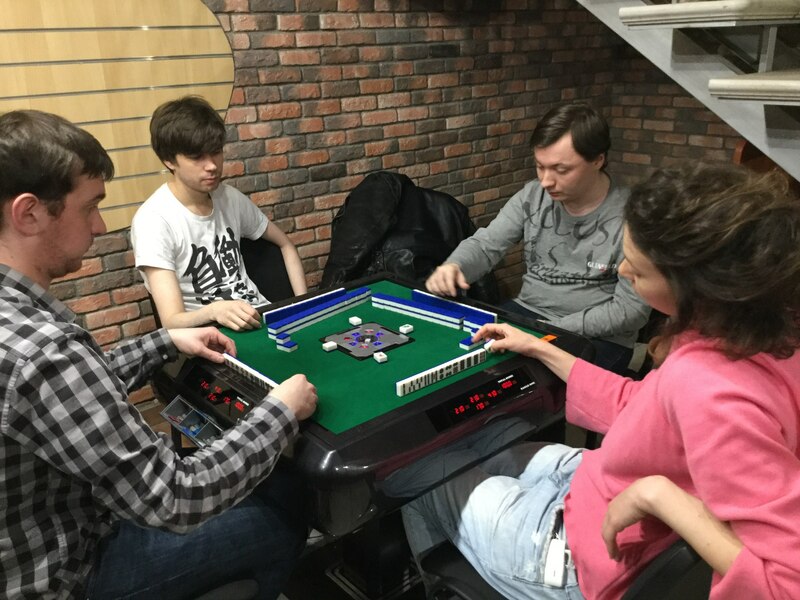 The players of «Tesuji» will be able to use it at our traditional Friday meetings. It will also be available on other days during the work of hobby-club «Trilogia» (from 11 am to 11 pm). There will be a manual for those who want to buy a Japanese automatic table for themselves or their club on our site in the near future. This entry was posted in Новости клуба by anonslou. Bookmark the permalink.